Hold the phone! Please place your mobile device on the table and back away slowly. Do not process that order in your Amazon virtual checkout cart for those cheap, crappy, generic replacement ear buds. You are surely going to thank yourself for delaying instant gratification as you have yet to hear Final’s new, £49 E3000 earphones. 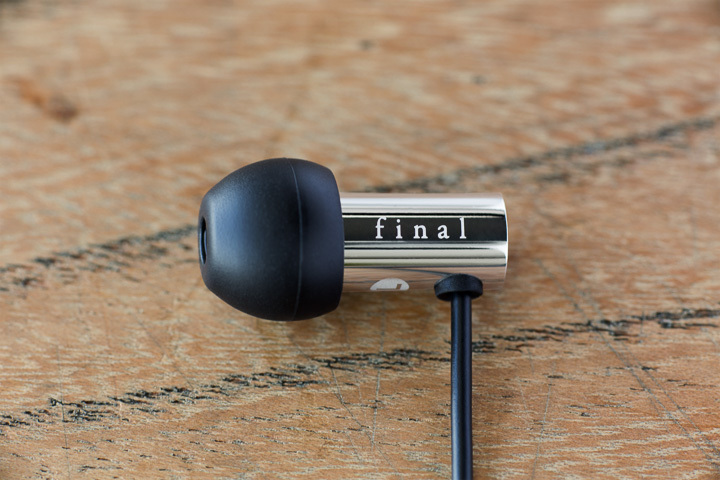 For little more than just about any mainstream audio manufacturer’s basement-priced earbud model, Final has planted its flag, claimed the territory, and roped off the mountain top for perhaps the best value earphones under £100 with its new E3000 model. Even with a short listen to Final’s new E3000 series you will forget all about completing that pending Amazon order. In fact, these earphones are so good that you may even find yourself down at the nearest street corner wearing a Final-branded sandwich board proselytizing the value of the E3000s to anyone you can get to stop and listen. OK, I’m calmer now. Honest. Final’s philosophy has always been deliberately grounded in honouring quality materials through their product development since the company’s inception in Japan in 1974. In April of this year Chris Martens reviewed Final’s splendid sounding Sonorous III, so without repeating his storied history of the company, let me remind you the pursuit of quality comes directly from the passion of Final’s CEO, Mitsuru Hosoo. Under Hosoo-san’s direction, Final upped the ante by setting up an in-house factory to control and implement direct feedback from their design and development team. Final believes it is this interplay between design and implementation that provides their enthusiastic staff with the autonomy to continually reset the bar for high quality audio. Luckily for the rest of us, Mr. Hosoo also has an equally intense drive for Final to lower the financial barriers to their latest line of high fidelity earphones. Retailing for the rock bottom, and frankly eyebrow raising price of only £49, it is no surprise that every precious Yen of the E3000 price tag must be accounted for. With so little fat to trim off that price point, Final chose wisely to forego unnecessary or pretentious packaging for the E3000. No harm no foul for me on this point. I found the packaging and protection were sufficient, especially as included you will find a nondescript soft leather carrying case for your E3000’s protection. With no place to hide in the minimalist packaging, when opening the box, your eye is drawn to the shining E3000 stainless steel mirror-finished housing.